Black Friday is the single biggest shopping day of the year in the United States. Before the celebration dishes are even cool, shoppers are headed out the door at midnight or shopping online for all sorts of sales and deals to kick off the holiday season. Most stores maintain the sales through “Cyber Monday” or the Monday after the Thanksgiving weekend. While some people call this shopping phenomenon “holiday creep,” others are delighted to save money on items they have been watching. The trend brings in a lot of money for businesses and employees in the retail sector and there is no doubt that it is good for the economy. No matter your stance, Black Friday can be a great way to kick off or ramp up a fitness routine after Thanksgiving. Here are 5 fun ways to use Black Friday as a kickoff for health. 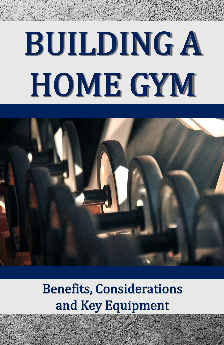 Shop for a gym or bootcamp class membership. Do you want to ramp up your workout efforts accompanied with others who will make fitness activities more enjoyable? Group classes are the way to go! Consider yoga, bootcamps, water aerobics, or even CrossFit. What about recreational tennis, golf, or running? Whatever your passion, find it, sign up for it, and do it! I have been doing a bootcamp all year and have made a lot of new friends while gaining strength and fitness. Put new gym clothes, exercise equipment, and athletic shoes on your holiday shopping list. New fitness clothes that make you feel good will get you out the door. There is a plethora of new inventions for exercise equipment. A quick search on Amazon for exercise equipment finds: under-desk pedal pusher, exercise bands, exercise balls, ab rollers, and much more. New athletic shoes often make walking and other exercises more enjoyable. Ask yourself if you need more electronics and other items which increase sitting? Could a home gym be better than a big TV? Or could electronic step counters be a great idea? What about healthy cooking equipment? A salad bowl, sharp knifes, easier to manage cutting boards, pressure cookers, and non-stick cooking pans are always great ideas because they get you back in your kitchen. Would you be happier with smaller dishes? Would a hot beverage machine help you enjoy drinks without sugar and alcohol? Cookbooks are always coming out and the great chefs of the world have been busy making many of them so you can bring their creations home. Check out the work of Thomas Keller or experiment with ethnic and geographic centric books. Why not learn an Asian cuisine or how to use more Latin or Mediterranean spices? Use the search term, cookbook at home, to find these chef-written books that bring their special creations to your home!